Given the recent fire at the Waltzing Matilda Centre in Winton, it is timely to share a few tips and useful websites on salvaging fire damaged objects. Below I have outlined the basic salvage procedure. 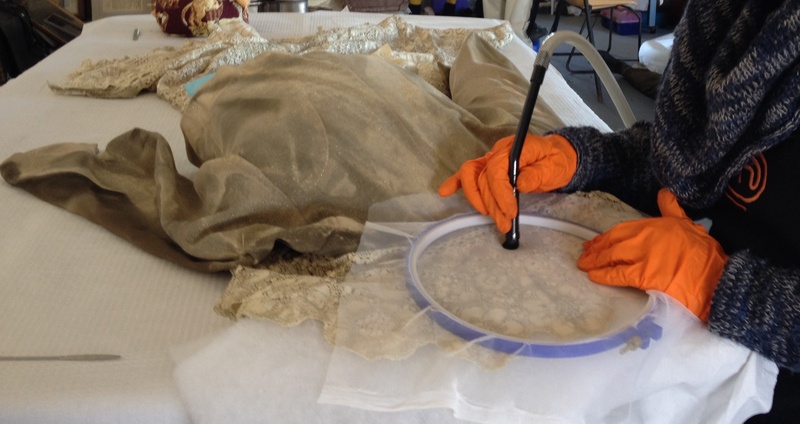 For more information please refer to the provided websites or contact your local MDO or a qualified conservator for specific advice. Safety first: Do not enter the fire damaged area until you have been given the all clear by the fire brigade and/or the authority responsible for the site. Wear nitrile gloves and a P2 respirator mask when retrieving objects. Minimise handling and carefully support objects at all times. Material may have become weak and brittle. Once it is safe to access the affected area, sort the collections into three main categories: wet; charred/burnt; and soot affected but not burnt. For objects affected by soot, it is important to remove soot as quickly as possible. Soot is chemically active and the longer it remains on the surface of an object the greater the risk of permanent damage. Gentle reminder: Make sure your disaster preparedness plan is up to date and those involved in the disaster team are familiar with its contents and have received recent hands on salvage training. Posted on 13 August 2015, in Lydia's Diary and tagged disaster. Bookmark the permalink. Leave a comment.